What are the top hostels in California? The Golden State is high on the agenda for many travelers exploring the USA, as it contains many attractions that America is known for abroad. However, the expense of this portion of the country can be staggering, so it helps to stay in hostels during your time there. The top hostels in California combine a low price with outstanding value, making them the perfect places to stay on your trip to this groovy state. When the time comes during your trip to ride the trolley cars of San Francisco, you’ll want to get off it at USA Hostels San Francisco once your sightseeing for the day has concluded. With unique features like a 50 seat theatre to kick back with a movie, and a yoga room so you can embrace the progressive way of life that many Bay Area folks adhere to, you’ll enjoy your time hanging with other travelers here. 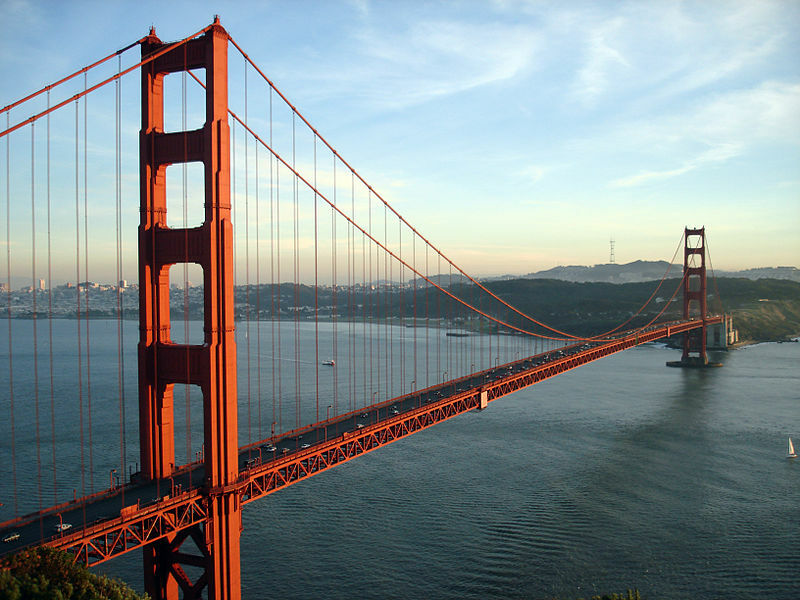 Additionally, they also offer group activities that include pub crawls, bike rides across the Golden Gate Bridge, and guided walking tours through downtown, so the fun doesn’t stop after you leave the premises either. Los Angeles is a spread out city with many great neighbourhoods in which to stay, but we would recommend that you hang your hat at Banana Bungalow West Hollywood, as this hostel is located in one of the most fabulous parts of town. As the name suggests, this hostel is modeled after beach bungalows despite not being at the beach, nor in a tropical area – but hey, it’s all in good fun! If you decide to go with it, you’ll love their free BBQ’s, poker nights, and karaoke sessions. When the time comes to explore the surrounding area, you’ll be able to save a healthy chunk of cash on tours and shuttles to places like Venice Beach, Disneyland and the homes of Hollywood stars (exterior views only … sorry!). Unlike its two bigger cousins to the north, San Diego has a more chilled out vibe to it, making a good choice for those looking to relax a bit. Staying at the International Travelers House Zoo Hostel will aid you in this cause, as this place takes care of breakfast AND dinner for you, as your per night fee pays for this service. With a variety of amenities designed to appeal to the party traveler, this hostel is well suited to those looking to let their hair down on their California trip.